Compared to some its neighbours, the country of Senegal has so far been spared a major attack by Islamist extremists. In an effort to maintain the status quo, a theatre is being used to combat religious radicalization. 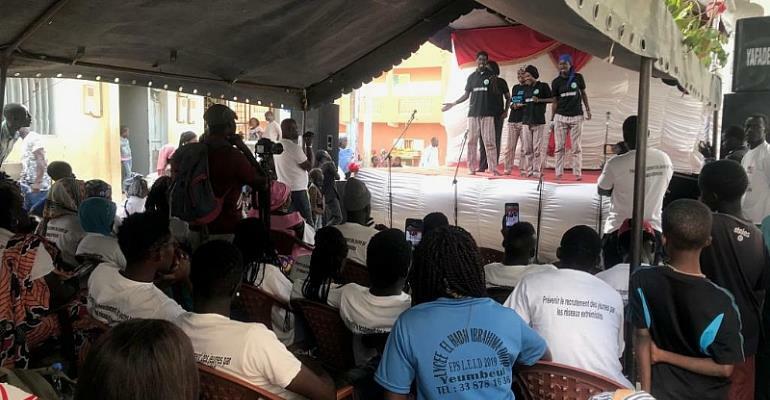 Through rhyme, play and education, a theatre troupe's been touring the greater Dakar suburbs to spread awareness about the dangers of illegal immigration and jihadist recruitment, by putting on street performances as part of an NGO-led campaign. Emmanuelle Landais reports from Dakar.